Home » Christian living » Do you carry the seal of God? The Bible has a lot to say about the seal of God and how those who belong to Him are marked with the Holy Spirit and a seal on their forehead. (John 6:27, 2 Tim 2:19, Rev 6:9, 7:2, 9:4, Eph 1:13-14). James 2:10-26, 1.John 2:6, John 1:12, 3:16 says if we believe Yeshua (Jesus Christ) died for our sins our faith will show itself in our decision to live obedient to righteousness (Rom 6:15-23). The Bible describes the standard for righteousness as the law of Moses (1.John 3:7), so what the Bible says is this, if we believe Yeshua died for our sins, we will choose to live obediently to the law of Moses every day. 2.Tess 2:1-12 describes the antichrist as the man of lawlessness, 1.John 3:4 describes lawlessness as being without Torah, so we know from 1.John 3:4, 2.Tess 2:1-12 the Antichrist will fight Torah obedience and not allow anyone to live as a slave of righteousness. So we know from these few verses the antichrist can accept someone who believes in Jesus as their Lord and Savior as long as that person also believes the Torah has been done away with. The antichrist knows such a person is not saved because their faith is dead (1.John 2:6, James 2:10-26) and they are no threat to him. Why does the Bible say the seal of Yehovah or the mark of the beast will be on our foreheads and the mark of the beast also on our hands? If this has to do with how we live our lives, why then is the mark or the seal of Yehovah limited only to our foreheads and hands? The Bible says in 1.Thess 5:23 we are spirits inhabiting a human body. We see this in Genesis 1 and John 4:24 where it says we are created in the image of Yehovah. Yehovah is a spirit (John 4:24), so if we are created in His image, we are created as spirits who temporarily inhabit a human body (Gen 1). When this human body we occupy has run the course of its life (James 2:26), we will leave our physical shell and either go to heaven or to hell depending upon our faith and actions in this physical life. The Bible also says in Gen 1 our physical bodies are Yehovah’s masterpieces, so there is nothing evil with our physical bodies. We are to appreciate it, take good care of it, so we get to live a long life on this earth (1.Cor 6:19-20). What would you do if you were to go scuba diving? You would, of course, put on a wetsuit and oxygen tanks to be able to breathe underwater. The wetsuit is not who you are, that is just a temporary shell you inhabit to be able to swim safely under water. But to be able to inhabit that wetsuit you need oxygen coming from the outside of the wetsuit connected to your mouth so you can be able to breathe while swimming underwater. You need the wetsuit to protect your physical body, and sometimes it needs to be pressurized so your frail physical body can survive on great depths with more physical pressure than we normally have on the surface. As human beings, we know that if we are to inhabit something like a wetsuit temporarily, we need a connection to our natural environment and a supply of things like oxygen to be able to survive. The Bible says in Genesis 1 we are made in the image of Yehovah, so if we as humans see the need for a connection between our natural environment and our temporary to be able to survive we know Yehovah would see the need for a connection between our natural environment which is the spirit world and our temporary existence in this physical world. Last week we talked a lot about legalism and how we can become legalistic if we say something is a sin when the Bible does not say it is a sin. We know the Bible forbids us even to mention the names of other gods, but we know the Bible does not forbid us to meditate or to chant a sound that has no other meaning than to help us focus our minds and heal our bodies. If we say it is a sin to meditate, or we say it is a sin to chant a sound that has no meaning in itself, we have become legalistic. Chakras are described as seven energy wheels in the body that transmits spiritual energy into our physical bodies. They serve as gateways from the spiritual world into our physical world and physical body. Chakras have nothing to do with the worship of other gods; they are just spiritual gateways into our physical bodies that helps us connect to our natural environment which is the spiritual world. As long as we use words that have no meaning in themselves, we can use them to work with and heal our chakras. When we as humans would see the need to have a connection between our natural environment and our temporary existence in a wetsuit, and we know the Bible says we are made in the image of Yehovah, it should not surprise us that Yehovah has given us 7 chakras to help us live temporarily in a physical body. When we mention something like chakras, some of you would automatically think “Hinduism/Buddhism, and it would be syncretism or a sin to even think about the subject of chakras.” Nowhere in the Bible does it say we are not allowed to think of, speak of, work with or learn more about chakras. We do on the other find descriptions that tell us the Bible says Yehovah created us with seven chakras. One of these descriptions would be the seal of Yehovah on our forehead and the mark of the beast on our forehead or our hand. Human beings have seven chakras and what is called the third eye chakra is located on our foreheads. The third eye chakra enhances our vision, our intuition, but it is also located in front of the frontal lobe in our brain. The frontal lobe controls our behavior and judgment. So to be able to be slaves of righteousness and obey the Torah we have to use the frontal lobe in our brains. Now we understand the seal of Yehovah on our foreheads even better. When we repent of our sins and come back to Torah obedience through faith in Yeshua, we make that decision in our frontal lobe. Every day when we decide to live in obedience with the Torah our frontal lobe is the center for that decision. Because we are spirits who temporarily inhabit a physical body, the seal of Yehovah will be placed on our third eye chakra when He sees us being obedient to Him. What is the seal He places there? 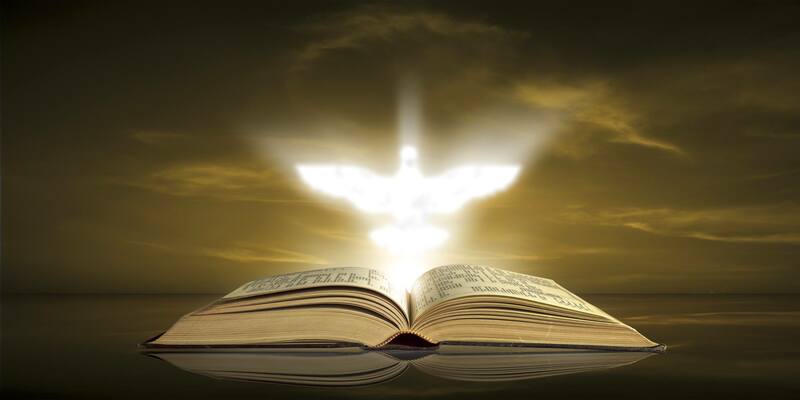 The Bible says it is the Holy Spirit (Eph 1:13) who helps you, guides you and strengthens you every day. (Rom 8:15). The Holy Spirit will never force you to choose obedience, but He will work through your third eye chakra to give you everything you need to make the right decisions. Perhaps it is difficult for you to accept the idea of chakras and the third eye because you have been taught these things are evil, new age, occult Christians should never even speak about such things. If the Bible does not forbid it we can not say it is a sin if you choose to believe chakras, the third eye is sinful you are being legalistic and loosing out on something you need as a Jew living in this world. It would be rather foolish of a scuba diver to believe he could not use a wetsuit or oxygen tanks just because evil people had used wetsuits and oxygen tanks when they went scuba diving in the past. It would be rather foolish of you to believe you could not use chakras, mantras which have no meaning in itself or the third eye just because evil people have used these things in the past. Everything Yehovah has created can be used to His glory or to the glory of the devil. When something that is originally Yehovah’s idea and creation is used to the glory of the devil, it does not mean we should stop using it to the glory of Yehovah. When a musician uses a guitar to worship the devil, it does not mean we should stop using guitars when worshiping Yehovah. Because some uses chakras, and especially the third eye chakra wrong does not mean we should stop using it the way Yehovah intended for us. So the seal of Yehovah is what we are given when we obey the Torah, the seal is placed on our third eye chakra (Deut 11:18-19), and it remains there as long as we choose to be obedient. We can lose that seal if we willfully choose to be disobedient and then it will be replaced with the mark of the beast (Hebr 10:26-31). So the question remains, do you carry the seal of Yehovah?